It was a joy in late November to co-present a seminar for parents of preschoolers in Kogarah Library, Sydney. Sonia Bestulic from Talking Head Speech Pathology and myself gathered together a group of excited and interested mums and dads to find out how to prepare children for school literacy learning. We looked at what school literacy lessons look like. Guided reading was described and we compared guided reading books to children's picture books. Sonia detailed the importance of children having strong language skills, both receptive and expressive language. There were many practical strategies, games and ideas suggested for helping children develop a solid language base. Reading aloud quality children's picture books AND talking and listening before, during and after, is the simplest,most efficient and best of all, most enjoyable way of preparing children for school reading, writing and spelling. Here is the summary slide for parents which, I think, says it all. Reading aloud to them using carefully chosen beautiful children’s picture books. Talking about letters, words, sentences and language. Increasing their vocabulary by talking to them about what they are learning, listening to and watching. Cueing your child into the sounds, rhythms and rhymes of language in books. It was such a wonderful night of sharing and learning and such a privilege to work with Sonia. Can't wait to see all our beautiful shiny new Kindy students at the beginning of the school year in 2014. Are you all ears? How do you listen to music? Ah, music. It is the stuff of life. As an adult, ask yourself how do you listen to your favourite music? Are you someone who goes with the rhythm and beats? Are you someone that loves the melody and tune? Are you someone who really hears the lyrics, remembers them, relates to them and listens to the story of the song? Personally, I love words so the lyrics and the story of the song are really interesting to me. Cat Stevens (I'm showing my age, I know) Simon and Garfunkel, John Mayer and even the crazy lyrics of Crowded House all fascinate me. I sing along and enjoy the imagery that the words allow me to visualise. Music is magic, especially to children. As adults when we let ourselves go and find our inner child listening to music brings us such joy, energy and inspiration. Movin' and a groovin' is not only for the young. Children need to be surrounded by music. They connect with the rhythms and beats, the melodies and most importantly, I believe, the words. 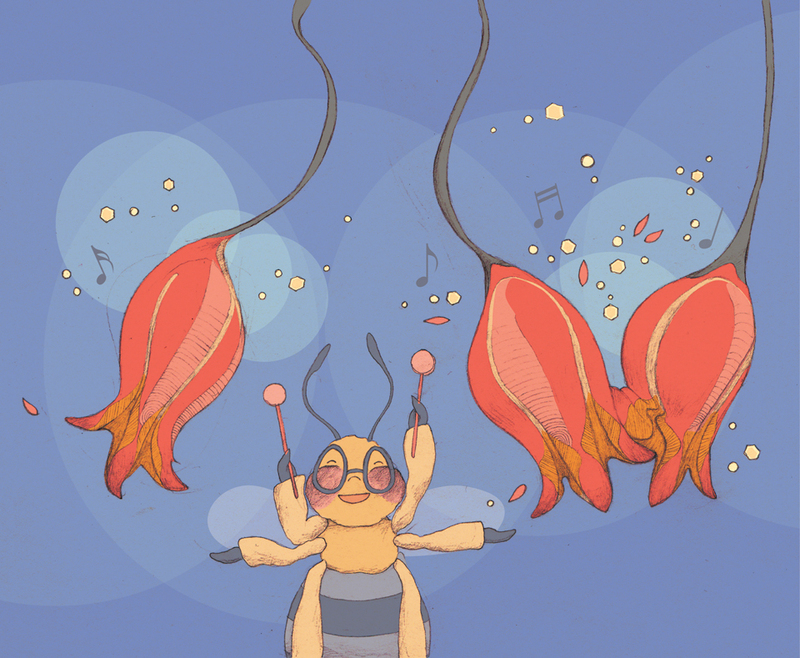 Listening to words in songs will help make them great listeners in general. They will be able to transfer their finely tuned listening skills to the schoolroom. Remembering the words to songs will help their working memory, which they need in the classroom. A win, win all around. We all take listening for granted. So let's take a minute to think about how we are as listeners. As teachers, we require students to be attentive, active listeners throughout the day. Quite an ask really. So ask your friends to take a survey. Who is a melody/tune listener or who is a lyrics lover? Food for thought. Some Lyrics from "Bigger Than My Body"
In Australia it is Winter and the second half of the academic year is under way. Not like North American schools who are starting back after their long Summer break. Here, our Kindergarten children have just completed their first semester of school. At my school, after half a year of excellent literacy teaching, the teachers 'refer' any students who have not picked up the appropriate phonic skills or who just need to be 'checked', to our Learning Support Team. We, as a team, assess each child's phonemic awareness skills and then form targeted groups for intensive instruction. The Kindy kids love coming to these sessions. We have 38 students from 6 1/2 classes who need some revision or remediation in this area. The kids have fun clapping out the syllables in their names. They love listening to rhyming stories and clapping when they hear a rhyming word. Traditional rhymes are taught and learnt and recited with vigour and vim. Pictures of objects are labelled orally and sorted into matching starting sounds. Big books are read and the language of literacy is discussed; What is a word? What is a sentence? What are the capital letters and full stops for? What are the gaps between words for? Books with different language features are read aloud to focus on rhyming, alliteration or onomatopoeia. Boy, do we have fun with the noisy books! At the end of this term we re-test each child and graduate the ones that have acquired the necessary skills. We keep going with the students who just need more time to learn these important skills and target the areas that they have not quite achieved. It is a wonderful thing to witness how they blossom with some specific, strategic, explicit teaching in small groups catering to their individual needs while having F...U...N! 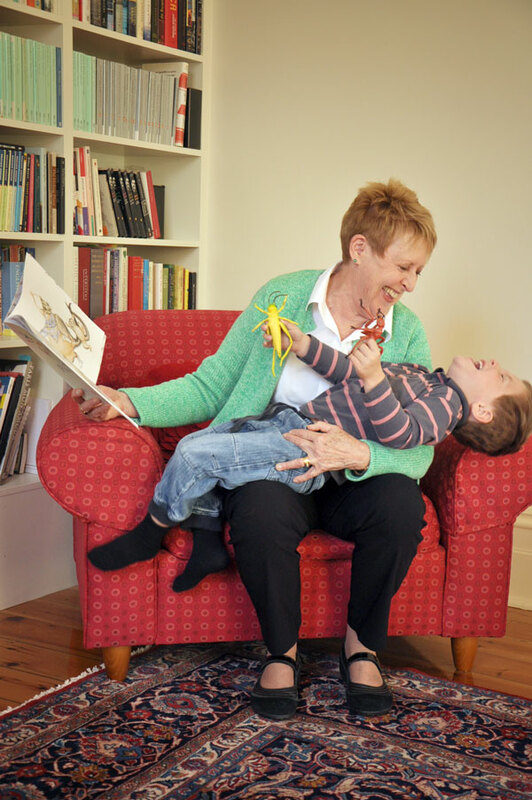 Mem Fox is one of Australia's most beloved children's book authors. She is an advocate for reading aloud to children before they go to school. In fact, Mem says "If kids are not read to between the ages of 0 to 5, they will not be able to learn to read quickly and happily. Every parent ought to show their children how much they love them by spending at least 10 minutes a day reading to them—which is three picture books, or the same book three times." She is passionate about continuing to read aloud to children even after they can read for themselves because you can introduce them to higher level books and initiate quality talking and listening to grow and develop your child's vocabulary and as an added bonus, their imagination! Her 10 commandments of reading aloud are simple and brilliant and, I believe, so true. Reading aloud to young children is just so important for many, many different reasons. My favourite reason, is because you love the book that you are sharing with your precious ones. Here is a link to PuggleFM online radio station for parents of young children. It is me reading one of my books which I have to say I loved doing. What is the right age to teach children to read? Parents are very keen to help their children learn to 'read' before they go to school. So what is the right age to start teaching them to read? When should parents start teaching their children the skills of reading? There was an article in the Sydney Morning Herald about a new product, called 'Your Baby Can Read', endorsed by model Miranda Kerr, of all people, . It claims that babies as young as 3 months old can learn to read if you buy their program for $200. Guess what! You can do this for your children for free!! 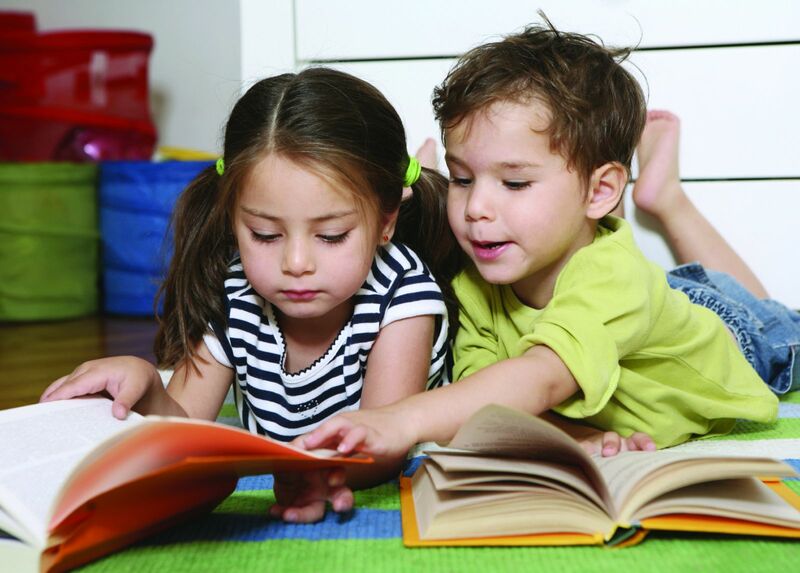 Reading to your babies, toddlers, preschoolers and big schoolers is an easy, enjoyable and effective way of helping your children learn to read. In Finland children don't get taught to read until they are 7 years of age after 1 year of compulsory prep school where developmental play is provided. Finland has one of the highest literacy levels in the world. So from one extreme, 3 months old or to 7 years old, which is the correct age?? Basically, in NSW schools, children as young as 4 and 6 months and up to 5 and 6 months start school and begin to learn to read, write and spell all at once. My advice to you as parents is that you do not need to teach your preschooler to read. You need to get them ready to read. There are many good sites and apps which can help you do this without drilling, pressuring and training children to 'read'. Teaching them to love words, sounds, letters and books and stories will enable your children to get to school and rocket in their literacy learning. It is all linked: talking, listening, reading, writing and spelling. Phonological Awareness and vocabulary development are the 2 most important and key areas of learning that children need to get ready to read. 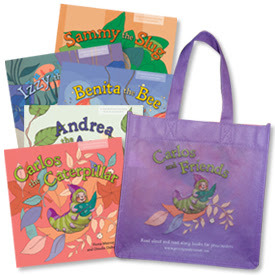 I wrote my website gettingreadytoread.com and book series Carlos the Caterpillar and friends to help you all in a fun and relaxed way to get your children ready for school literacy learning. So jump on in and start enjoying stories, rhymes, poems, plays and craft all the while accompanied by quality talking and listening. Kids love to clap.....in fact they love to make noise!! Clapping songs and rhymes are just wonderful to incorporate learning words, rhythms, songs and movements. A simple rhyme to clap along to and learn off by heart is "Pat-a-Cake". It has a lovely, simple beat and is easy to remember. Don't forget to bake a cake as well! Here is a link to Sparkle Box, a UK website with loads of free resources for nursery rhymes, songs and stories. The song "If you're happy and you know it" starts off with clapping actions and then gets more complicated but fun. I have to admit to Aussie loyalty here but the Wiggles are FAB! Here is their version of the action song "Head, shoulders, knees and toes". A great ones for teaching body parts and getting active. Come on you guys, you already know these songs, so get out there with the kids and pets and start clapping, singing and moving to words!! All great learning activities for preschoolers.